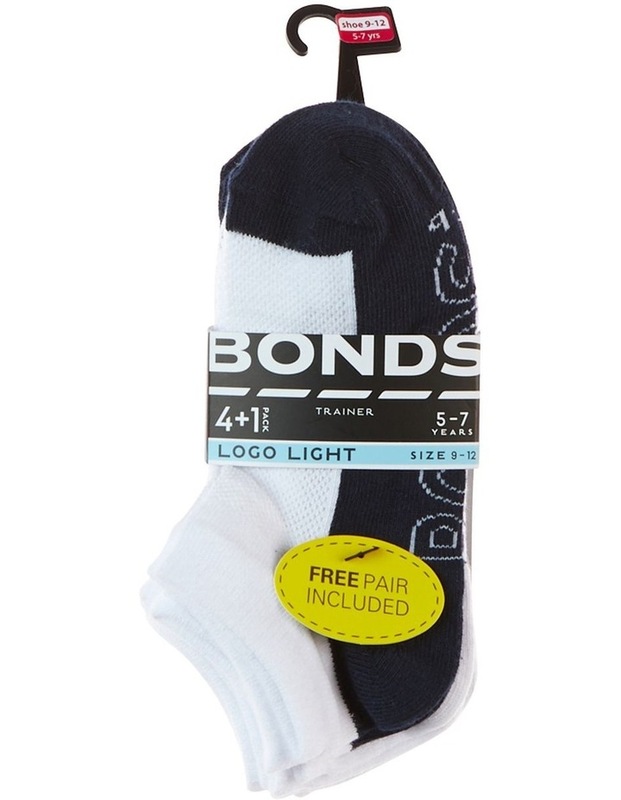 For a summer sock that won't weigh them down, try our Kids Logo Light Trainer 4 Pack. 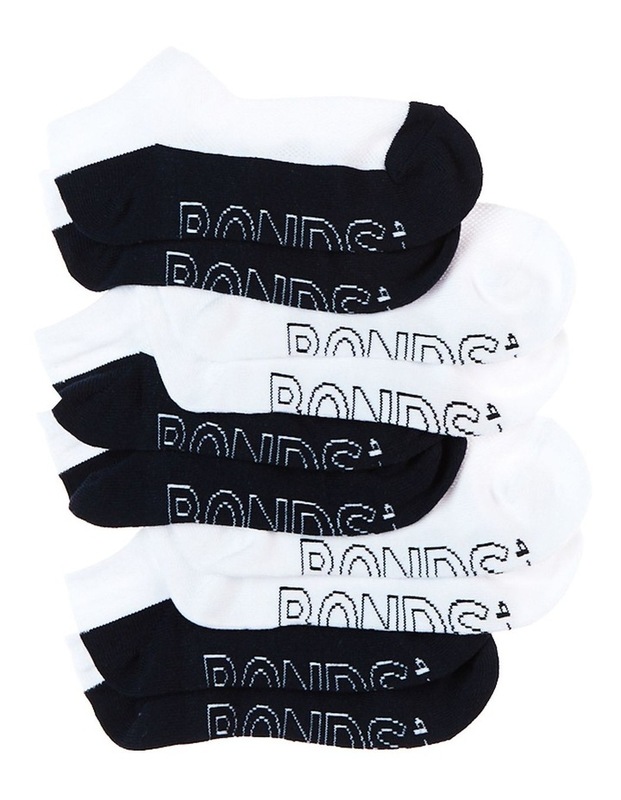 Featuring the classic BONDS fit, our Logo kids socks will keep pace no matter how fast your kids go. Ankle length kids trainer socks in a 4 pack 1 value buy. Mesh panels keep small feet fresh. Lightweight material perfect for warmer weather. INVISI GRIP technology keeps socks in place.